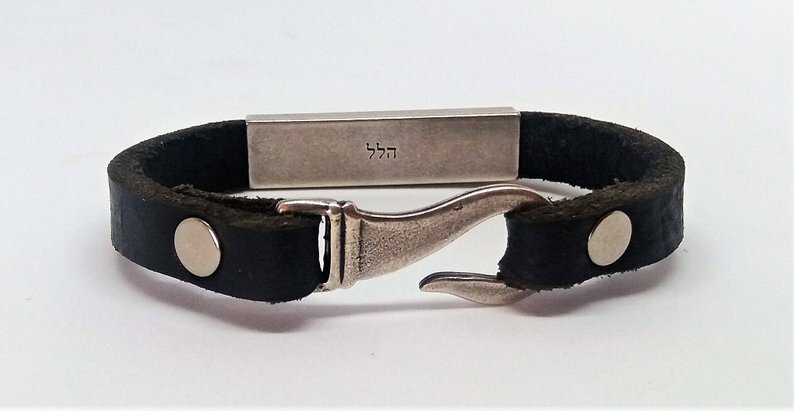 This hand made unisex Kabbalah leather bracelet is perfect for someone who loves all things spiritual. Engraved on the plate are the 72 names of God as mentioned in the Kaballah. 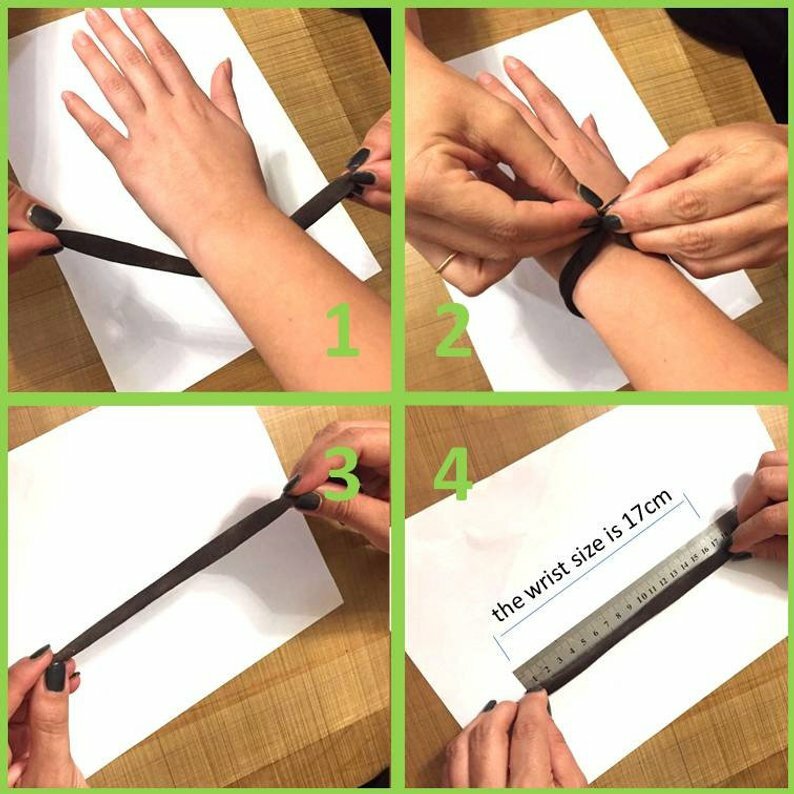 This is no ordinary bracelet. 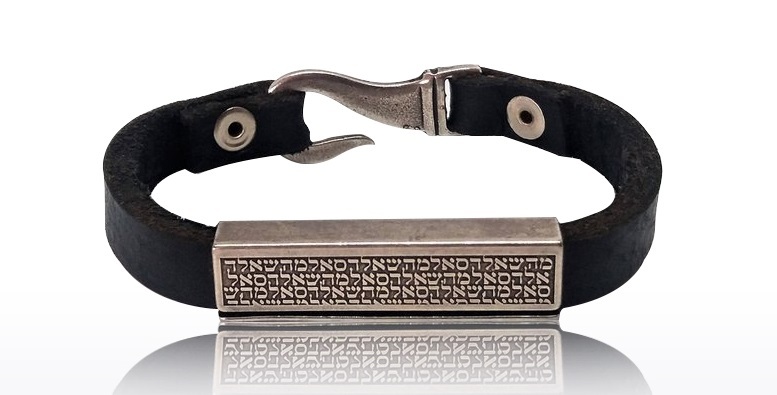 A lot of thought has gone into making this Jewish jewelry. Health is such an important blessing in life. 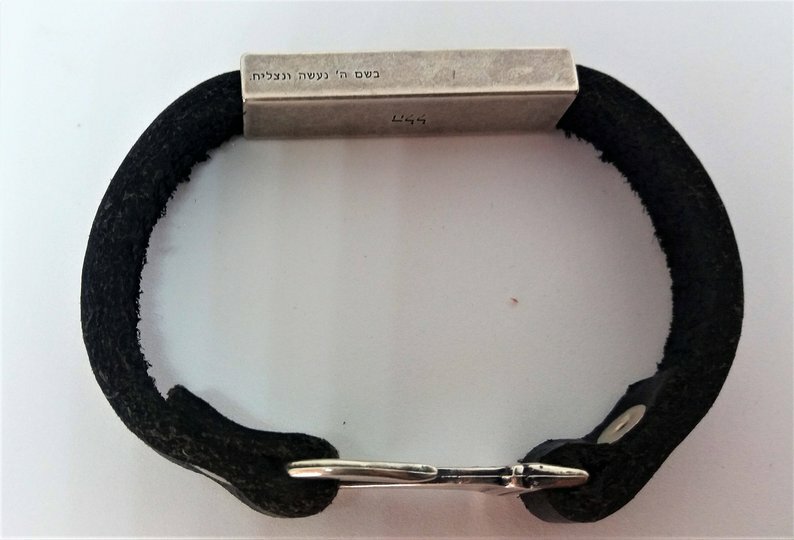 On the box of the bracelet a special healing prayer based from the Book of Jeremiah has been engraved. The bracelet has Gods 72 names engraved. The letters "מהש" from the 72 names of God listed in the Kabbalah.